Odeon has appointed Rufus Leonard to create a new identity and brand experience for the chain. There is no incumbent on the account. 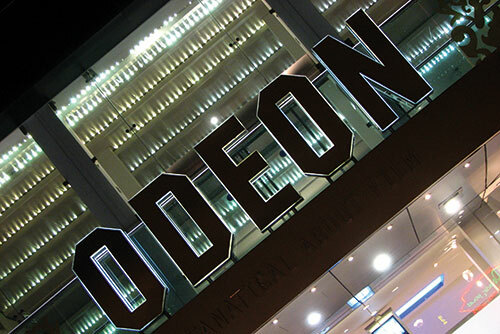 The agency has been asked to help Odeon set itself apart from its competitors. The new branding will be rolled out later this year. Andy Edge, the commercial director at Odeon UK and Ireland, said: "We were very impressed by Rufus’ creativity in their response to our brief. "Our ambition is to be a leader in guest services, and working with an expert who can bring their knowledge from multiple sectors will help Odeon evolve for the future." In April Odeon appointed 101 to work on its marketing strategy and creative advertising. Manning Gottlieb OMD has held Odeon’s media buying and planning business since 2013. Neil Svensen, the chief executive, co-founder and chief creative officer at Rufus Leonard, said: "We want to create a distinctly Odeon experience that the brand can own and that customers will seek out. "Odeon are creating a cinema destination that people want to go to even before they have decided what film they want to see."